How did you end up working for a law firm? I joined Birchall Blackburn Law in 2013, and began my career in residential conveyancing. I then completed my training and qualified as a Solicitor in 2017 now specialising in commercial property including the acquisition and sale of commercial properties and land, secured finance against properties/land, sale, purchase and transfer of investment properties, landlord and tenant matters, asset sales and purchases of small businesses. Unusual fact: I am a huge Harry Potter fan having followed it since my childhood. I have visited The Wizarding World of Harry potter in Florida and have been to twice to the Studio Tour in London. As first time buyers of a new business, we were very nervous about choosing a lawyer. We almost went with the local firm who had recently completed the conveyancing on our new home. Thankfully we decided to take the broker's recommendation of Birchall Blackburn Law. The service received from Birchall Blackburn Law, has been second to none and we couldn’t have asked for a more professional team. At first, it was daunting to receive all of the paperwork required in one go but once we realised there was very little else for us to do other than wait for completion, it was fantastic. The standard of knowledge and professionalism was top class. Jenny has played a pivotal role in completion of the deal in the final phase. She has been extremely diligent, punctual and simply splendid in communicating the progress of the deal that put my mind at peace. She delivered on every deadline she promised and on one occasion sacrificed her personal time after she had finished work to develop a document demanded by lender solicitors last minute. A big thank you to Jenny in helping me complete this deal, highly recommended team of solicitors indeed. My husband & I would highly recommend Birchall Blackburn especially Jennifer McGowan & Tony Coates, we spoke with Jenny regularly whilst they were overseeing the sale of business, she was always available to explain the process of stages we were at with the sale she also worked hard & succeeded to get completion done on the date we wanted. I can’t praise Jenny enough for the work she carried out for us and the help she gave me during a very trying time. I never met Jenny but can assure you that the service she provided was over and beyond anything I expected. Jenny dealt with any issues I raised calmly and efficiently throughout the sale. Towards the completion of the sale of the business I felt many times that I could pull out because the buyers were putting me under a lot of pressure and seemed to be deliberately awkward especially on issues relating to the staff at the shop. Some of the staff had worked for me for years and I felt the buyers were unfair at times. Jenny resolved these issues quickly and efficiently and made the transaction much easier for us all. Jenny also assured me she would be available over the bank holiday weekend even though she shouldn’t have been working and said I could phone her at any time. I cannot praise Jenny enough for her assistance in all the matters and would recommend your company to anyone. We have been using Birchall Blackburn Law for a number of years on our commercial property purchases and leases. The service the Churchtown office provides is of a very high standard and cost effective. We look forward to working with Birchall Blackburn law again. Merriel Johnson, The Johnson SSAS. 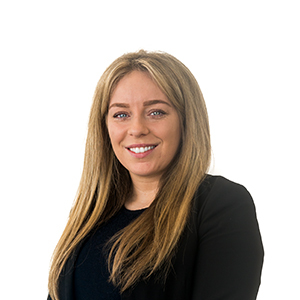 Birchall Blackburn originally acted for a seller I was buying a property from, I was so impressed with their service for the other side I decided to use them on my next development and I have not been disappointed. Over the last 18 months I have received excellent service as well as quick responses and helpful staff. I have been thoroughly impressed by their service and look forward to using them again in the near future. What is bigger? 10 or 100? Should I buy or lease my commercial property? Can I get out of a property lease early?